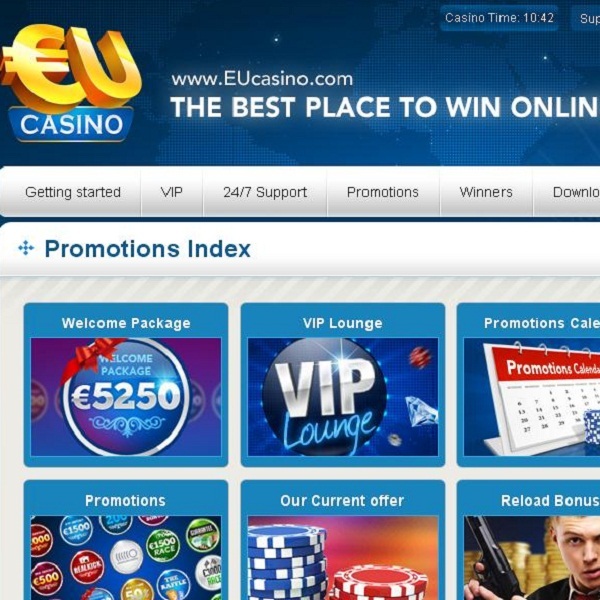 Players at EU Casino should make sure that they visit and make some deposits this Friday, 27th February. On Friday it is Happy Hour Day which means that members can receive extra money through unlimited bonuses. From 8am to 12pm GMT players can receive 50% bonuses of up to €100, from 2pm to 3pm GMT players can receive €10 absolutely free with no need to deposit and from 7pm to midnight players can once again enjoy 50% bonuses up to €100. If that wasn’t enough there is a €1,500 Weekend Race (non slots) taking place. This means that players who bet the most and make it into the top ten by playing any of the casino’s games, with the exception of slots, between Friday and Sunday will win a share of the €1,500 prize pool.